Rotary Car Performance General Rotary Car and Engine modification discussions. Nice. Thanks for the pic. Mazda trix is doing this too if you are not aware...check out the pic's in the link. Seal friction may not be a big issue. Small scale friction isnt a big deal with Ti like most people think, it just requires a surface oxide layer to get more hardness. As far as heat transfer, a steel insert will be worse than Ti, titanium has about double the heat transfer rate of steel. As far as heat transfer, a steel insert will be worse than Ti, titanium has about double the heat transfer rate of steel. I was always told that Ti has very poor thermal transfer, which is why it feels warm when you hold it. It's not warm, it's just not transferring heat from your body as quickly as other metals, so your brain says it's warm. Then again, I never looked into it other than "Huh, that's interesting". ^You are right, I mistyped. Ti has half the heat transfer coefficient of steel, not double. Sorry. But liked also the MAZDATRIX model, did they installed it on a car or not yet? Did you resolve the FUEL issue you had? I thought titanium has a tendency to warp or change form under high heat or extreme use? We did a project with an LS1, used titanium valve springs and they compressed and would not re-expand. We came to the conclusion that it was the titanium. Lot's of companies sell Ti springs and retainers, so it may have been a bad set? And, I know it's no where near the heat of a rotary, but the NSX came with Ti Con-rods, and those are subjected to bending forces, ,right? I know Ti is very hard to bend, that's why when piping is made with it, half the time is with pie cuts welded together rather than bending it. My wonder is if expansion rate is a concern? I don't know the heat properties of titanium and when I looked it up, it had me trying to do math (boo...). If these work, I wonder how much they weigh (maybe 13-15 lbs would be my guess), and how high they would be able to rev. I've seen 12K rotaries before, but not very reliable. Usually a seal failed. Would these be able to sustain that high rev? it would be awesome to see! Jeff has tested it on an RX8 and is still 6 months out from anything. He works on these on the side along with other stuff he is doing. Don't you guys think Mazda and many other companies have tried other metals for rotors, housings, etc? There's nothing wrong with the stock rotors. 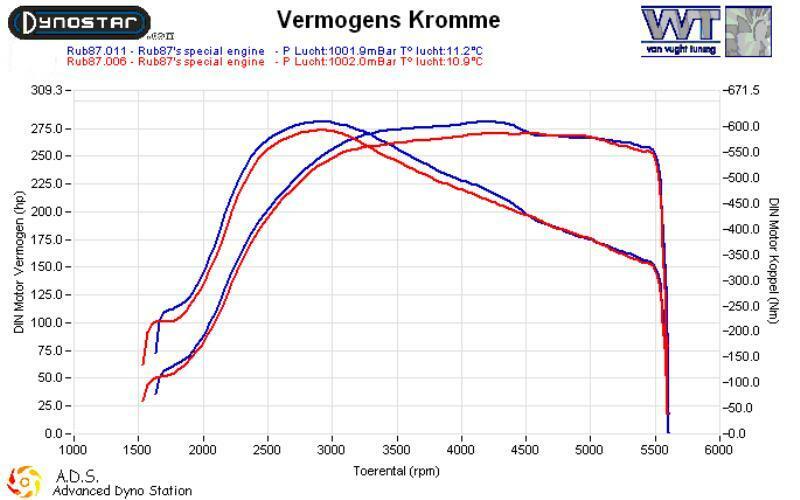 The rotary engines power is limited by e shaft flex and engine twist and seal warpage/breakage-not the rotors. obviously if the rotor would weigh 2 kg vs 4 kg, the shaft would worry alot less spinning over 10k as it does now with 4 kg rotors. I think there should be nothing wrong with Ti rotors if care is taken for the right clearance. but the 2 piece design is probaly the main source for trouble. ideally one would just use a mazda die and cast it with Ti instead of steel. then the rotor would weigh already 40% less, then edm the seal grooves and machine to correct clearances. That doesn't account for the penny pinching aspects of a company though. Im sure the rotors were made out of the most cost effective material that met the criteria. Mazda successfully tested aluminum rotors (in a three rotor prototype), and there were many benefits. The biggest drawback (which is what prevented they're production) was cost.